Just love to photograph weddings at the Westin Lake Las Vegas Resort. The property is just beautiful, with many different, unique locations. 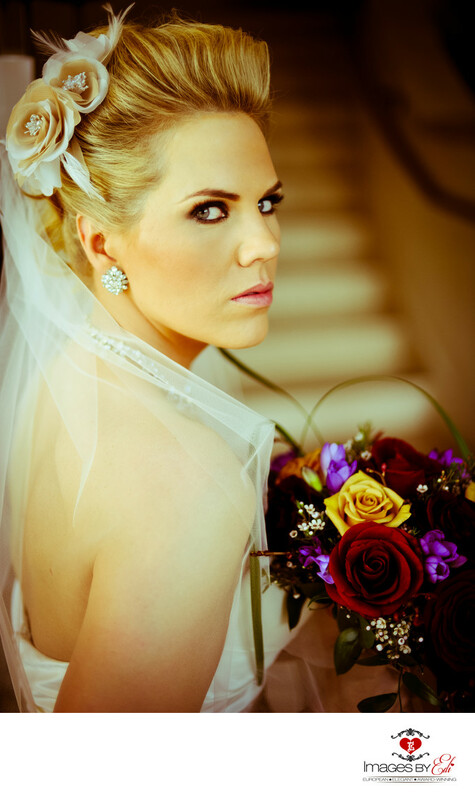 This blond Bride with her fabulous hair piece is one of my favorite brides I photographed at Lake Las Vegas. Just loved how I could lead the couple through the property after their Andalusian Garden wedding ceremony to create some unique images for them. Her dress, veil, hair piece, jewelry and flowers were just very beautiful and unique.